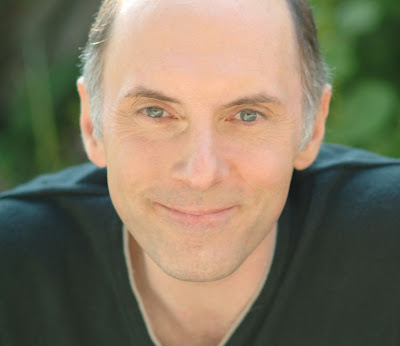 Actor Dan Castellaneta's face and voice are assuredly familiar from TV's The Tracy Ullman Show and The Simpsons. He has written a play entitled For Piano and Harpo that will open on February 10 at the Falcon Theatre in Burbank. In our chat he tells us about his past TV work, the play and what inspired him to write it. Tell us how For Piano and Harpo came about. Were you intrigued by the relationship between Harpo and Oscar Levant? What a frenzy those two must have created together! I was reading Harpo Marx’s biography, "Harpo Speaks". There was a chapter about how Oscar Levant crashed a dinner party at Harpo’s Beverly Hills home and stayed for a year and a month. I thought these two completely funny, interesting, and different characters living together might make an interesting play. I didn’t want it to be a 1930s Odd Couple, so I focused primarily on Oscar Levant’s struggle with mental illness and drug addiction and how perhaps memories of his friendship with Harpo helped him cope. How many characters do you play in this piece? Oddly enough, I play one character – Oscar Levant. Everyone else plays multiple characters. Talk about voice-over work and describe for our readers how different it is from acting in scenes of a play. film or TV. It must be difficult not to get the immediate feedback from the audience that you get as an actor. How are you validated? The difference is that on-camera or in a play, you’re in costume and make-up and have to memorize lines. In a play and sometimes in TV, you get a response from an audience. In film, everything is broken up in pieces. Sometimes in radio, you’re performing in front of a live audience like LA Theater Works. But in all cases you get feed back from somebody -- your fellow actors, the director, maybe the writer. It’s still acting, it just requires some adjustments. Tell us briefly about The Simpsons, the ups and the downs. Sum up 28 years? Hmmmm. The ups were the many awards, and the related projects, like the video games, and, of course, the movie. The downs – because we’ve been on so long a number of terrific people have left the show or sadly passed away. They are all still greatly missed. Also...about The Tracey Ullman Show. You were great in creating characters on that one. Why is this kind of show no longer viable on TV today? Except for SNL, variety and sketch playing seem to be passe. There actually seems to be a few sketch shows around. One great example, of course, is “Portlandia,” and I know there are a few more. I just think that there are more outlets for delivering content (Hulu, Amazon, Youtube, etc.) that it’s hard to keep track. It could also be, because of the computer, people can stream a satire or sketch directly and it’s hard for TV to keep up. But what do I know? I’m an old man. What's up for you on TV in the near future? Nothing really. That’s why I’m writing and doing plays. Tell me about working with your wife on this play and with the rest of your fine cast... and director. It’s always a blast to rehearse and create a show together. It’s all people I’ve worked with before so I know what they can do, it’s been fun, and I feel like the play is in good hands. My wife (Deb Lacusta) has been so instrumental in this. Besides acting in and producing the play, she has been vital in the writing and shaping of the script. Being a writer herself, she’s been a great sounding board giving me advice to help write this play and everything else I write. Dan Castellaneta as Oscar Levant? I'm already dizzy with excitement. Remember For Piano and Harpo at the Falcon Theatre.